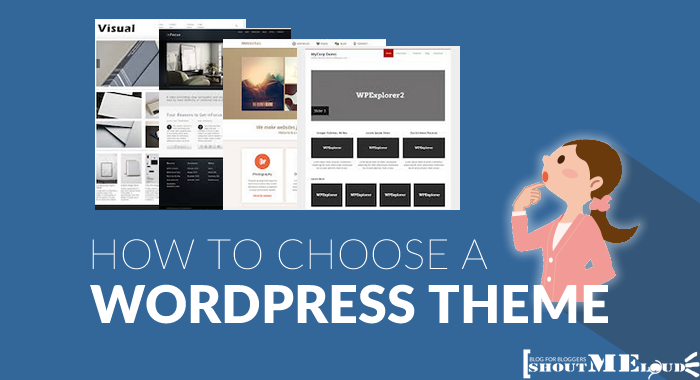 One of the biggest challange for any level of blogger is to choose a WordPress theme for their blog. When I started blogging, I used to change blog theme every now & then which was really bad for branding as well as good user experience. None the less, I wasted countless hours configuring the theme, adding ads & eventually ended up replacing it with another theme. If you are also experiencing something similar, I suggest spend quality time hunting the theme which fits your blog & your style, & focus on what you are best at; i.e writing. The design of your blog matters a lot for branding and a good user experience. If you will notice, all popular WordPress blogs or Websites around, take good care of their blog theme. There are many free and Premium theme clubs out there, and you will be bombarded with 1000’s of options for a WordPress theme. Some of them will be free, and many of them will be premium. When you are finding a WordPress theme for your blog, along with the look and design, you should focus on many other aspects like the support, upgrade and many more. 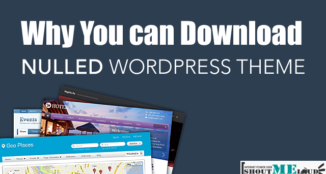 Here I will be sharing few things that you should consider before buying a WordPress theme. 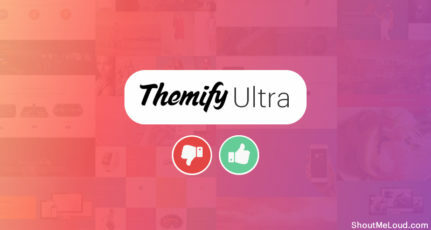 You can always go for a free theme, but I have already mentioned how premium themes are better than free themes, and why you should not download free premium WordPress themes. 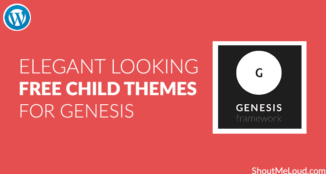 At this moment, my favorite theme framework is Genesis, and if you have a budget issue, I would recommend you to look at Elegant Themes. The very first criteria you should consider is the type of your blog. If you have a tech blog, look for tech blog themes. If you have a fashion blog, look for fashion blog themes. This helps you to narrow down your search & you end up picking the theme which matches your blog type & will be liked by your readers. Believe or not but first impression is always based on looks. Before reading articles, the visitor will first notice the theme of your WordPress blog. Thus, it is important that you select your theme according to your niche. If your blog is about blogging tips, technology, make money online then prefer to select a professional theme, and if you have a personal or fun blog then you can go for a funky theme. Make sure that the theme colors should not be discomforting to the eyes.. Themes are available in different layouts, number of columns but the select theme that provides an easy navigation. Visitors should find it easy to navigate, subscribe to your blog and find it easy to search articles they are interested in. A theme with good navigation always helps you to reduce bounce rate. WordPress theme should be easy to customize. There are many customizable themes available which are easy to modify according to your requirements and you even don’t have to learn the lot of PHP coding or CSS for same. Even if you are not a genius in customizing theme then also you can play with themes if the theme provides you easy customization. There are many themes that provide you useful features like managing advertisings, different comment styles, customize dashboard, customized error pages, built-in plugins or different options to promote your post via social networking websites. Such features are available in free as well as in premium themes, you can select one that suits your requirements. You can always achieve many of these tasks with the help of WordPress plugins. So, you may ignore this particular features. Always prefer to have a theme by a developer who is active when it comes to the support part. 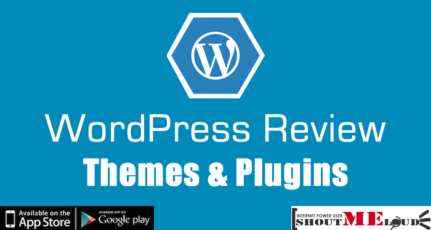 Make sure that developer update the theme on the regular basis according to WordPress latest version and it must support the new features of updated version like widgets, tags, etc. 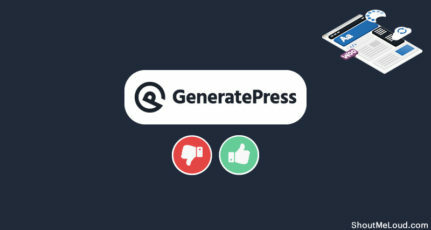 This is again something that you should decide if you want your theme to control your SEO, or you want a WordPress plugin to take care of SEO. Personally, here at ShoutMeLoud, we use Thesis to control SEO, but now we are making a shift to Genesis theme; we are moving data to WordPress SEO by Yoast. According to my opinion, it’s better to let a plugin control your SEO, instead of a theme. There are few more features that you should consider like loading time, responsive theme, support for child themes. I saved the best reason for last & in 2015 & in coming years, don’t buy a WordPress theme if it’s not responsive. A Responsive theme will ensure your content is readable on all screen size (Mobile, tablets or desktop). This is one of those features that you can’t compromise with & good news is; all the modern WordPress theme are responsive. To make your WordPress theme selection process easier, our team have done the research to find the best WordPress themes in various niches. No matter you select a free or premium WordPress theme but make sure that you go for the best theme. 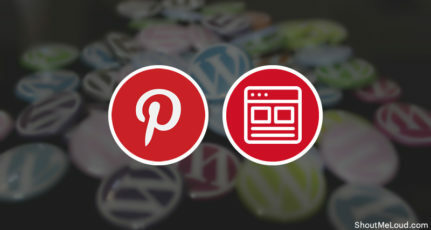 What are your criteria to select WordPress theme for your blog? Do share with us. selecting a theme is always a though decision. thanks for offering such great tutorials on thesis. Thanks for your comment Vivek. I agree with Typography, it is one of the important factor to consider while selecting a WP theme. Typography should be look professional. And we will surely come up with more tutorials soon. nice tips..but it would be a bettr post if you have given the best themes under every section i.e. like some themes having good navigation etc. anyway useful info.. Thanks Sumanth, but I don’t want to clutter too much. I will come up with more posts related to WP themes so that it can give readers better idea. I think Thesis and Genesis are two the best choice for bloggers when they help us SEO better than any else. Of course these two themes is not best as you might think at the first look. I have ever wondered why tons of blogger are passionate with them. PS: When will my comment be approved automatically Whiztechy ? I hate that manual approval! Thesis is all time best because it provides you lots of features and it’s easy to customize. If anyone is a professional blogger than it is always recommended to use a Thesis theme. And about commenting part Voung, it’s quite tough be even few regular commentators do spamming and which is not acceptable thus we prefer to moderated comments manually. Glad you like the post Jennifer. Thesis is the best theme as it fits all the criteria in the post……..
Agree Akhilesh, Thesis is all time favorite. Thanks Jojo for adding one more important tip. I agree there are many themes available which have virus and can harm your blog. I don’t know why here always thesis theme is recommended ? Hey Nick, I guess this article will help you with same : http://bit.ly/ieR4CA. And you can also read more reviews of Thesis themes on SML. I would also consider the uniqueness of the theme. There are quite a number of blog that has the exact look and feel of SML, with just a different logo. Great post you really mentioned all the basic things to consider in a theme and for me what i like to have in a theme is good content font size and simplicity, i don’t even like too much designed site i love it when it’s looks simple and easy navigated. Hello Harsh Today i purchased Genesis Framework under your affiliate Link 😀 , hope it tracked under you . I have a doubt that “for how many domains can i use the Genesis Framework” ,only one or more ?if more then it will be great.Waiting for your reply………….. I have bought the genesis theme. Thanks for your suggestion. I want a ecommerce wordpress theme for Fashionable products which provides Clothes only on Rent. So theme must include booking, pickup and return back dates selection on the single product page. Can you please suggest WordPress Ecommerce premium Themes. I am a newbie and looking for a suitable theme with simple features, tried many but could not find suitable one, please suggest me right theme for me. comments; perhaps they support comments on POSTS only). To use the pages or posts feature, that is your choice. Based on your requirement, I would suggest pick a design from MyThemeshop. If you are creative type & want to customize your pages more, then simply grab Divi theme from ElegantThemes. They both are paid but complete value for money.